Last weekend 517 players participated in the Regional tournament held in Portland, OR. Coming in first place was Jimmy Pendarvis with his Zoroark / Seismitoad deck. Congratulations to Jimmy! Normally, the focus of my article would be the deck Jimmy played, but that's not the case this week. Instead, I'd like to take a look at a deck that almost got there, but came up just a bit short. This week, we'll be taking a look at the deck that came in Third Place that was played by Zachary Everest. Let's have a look at the deck. We'll begin by taking a look at one of the namesake cards of the deck, Blastoise. Blastoise's Deluge Ability allows you to attach multiple Water Energy cards from your hand to any of your Pokemon prior to your attack. 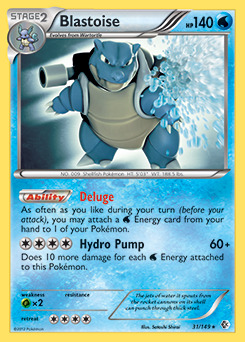 Deluge is very similar to the Rain Dance Pokemon Power that Blastoise from the Base Set had when I started playing. The main difference is that you can attach a Water Energy to any of your Pokemon in play with Deluge, while Rain Dance only allowed you to attach the Energy to Water type Pokemon. That small change allows you to play other types of Pokemon alongside Blastoise which makes your deck less likely to be weak to the same type of Pokemon. You can also take advantage of Pokemon that have useful Abilities and an attack that requires only colorless energy to use. With Blastoise being such a key part of this deck, it's surprising to see that there are zero copies of Squirtle or Wartortle in this deck. 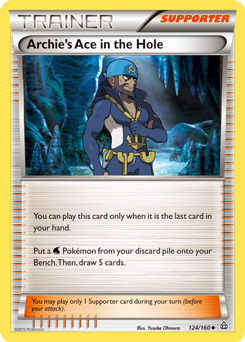 The only way to get Blastoise into play is through the use of the deck's other namesake card, Archie's Ace in the Hole. 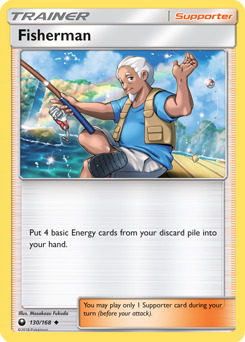 With this card, you can put any Water type Pokemon in your discard pile onto your bench, no matter what stage of evolution it is. This is also the only way to get Kingdra-GX into play as well. Luckily you have a full playset of VS Seeker's that you can use to get Archie's Ace in the Hole back from your discard pile and into your hand so you can play it multiple times. But getting Blastoise and Kingdra-GX into your discard pile can be tricky. Battle Compressor is probably your easiest way to get Blastoise and Kingdra-GX into your discard pile. It allows you to search your deck for any three cards and discard them. If you happen to be holding one or more of them, you can always search your deck for some Water Energy cards to discard instead. 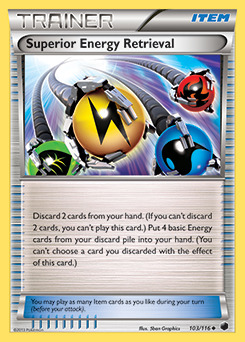 If you happen to have drawn Blastoise or Kingdra-GX, there are multiple ways to discard either of them (or both) from your hand. 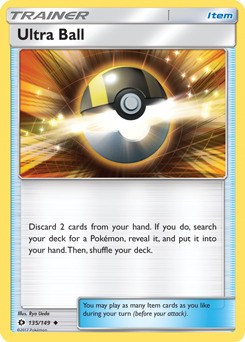 Ultra Ball requires you to discard two cards in order to search your deck for any Pokemon to put into your hand. 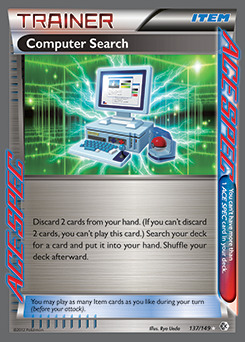 Computer Search requires you to discard two cards to put any card from your deck into your hand. Superior Energy Retrieval requires you to discard two cards from your hand in order to return up to four Energy cards from your discard pile to your hand. 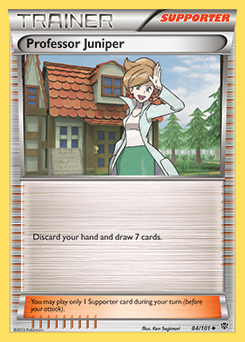 Finally, there's always Professor Juniper that you can use to discard your hand in exchange for drawing seven new cards. One thing to note with this deck is that your Energy will usually be in a constant state of motion. Blastoise allows you to play as many Energy from your hand as you'd like. 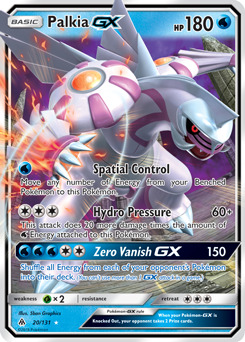 Palkia-GX has an attack called Spatial Control that can move any number of Energy from your Benched Pokemon to Palkia-GX. Energy that has gone to your discard pile can always return via Fisherman or Superior Energy Retrieval. 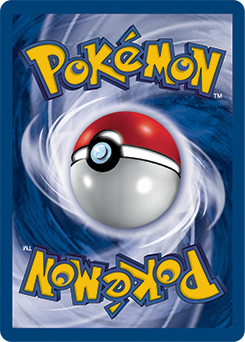 Now that we've gone over many of the Trainers and Energy cards in this deck, it's time to focus on the Pokemon. We'll start with the Pokemon the deck is named after, Blastoise. As I mentioned earlier, its Deluge Ability is the amazing engine that lets this deck fire on all cylinders. However, Blastoise also has a terrific attack that will always deal a minimum of 100 points of damage (barring any damage reducing effects). Palkia-GX is the real heavy hitter in this deck. If you need to, you can use Spatial Control to move energy from your Benched Pokemon to Palkia-GX. 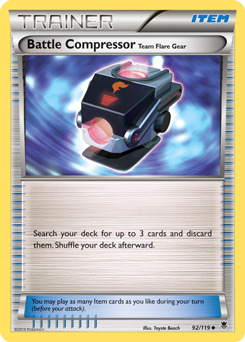 If you get the required five Energy needed to attack with its Zero Vanish GX attack, you'll hit for a massive 150 damage and shuffle all of the Energy attached to your opponents' Pokemon (all of them) into their deck. That can be crippling. The next turn, since you already have five Energy attached, you can attack with Hydro Pressure for 160 points of damage. With any luck, you'll be able to chain together a string of knock-outs, eliminating your opponent's Pokemon one after another. Keldeo-EX is another great attacker. Its Rush In Ability allows it to become the Active Pokemon whenever you'd like. 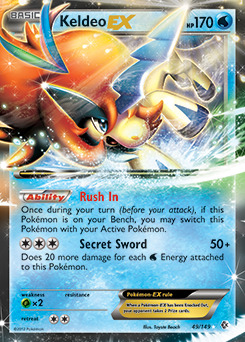 This can allow Keldeo-EX to swap places with a damaged Pokemon, denying your opponent of one of their prize cards. And with its Secret Sword attack, you can deal 110 or more points of damage in a single attack. Kingdra-GX has three separate attacks that all require only a single Energy. 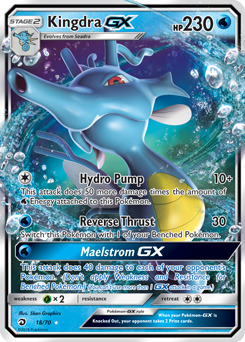 Maelstrom GX deals 40 damage to each of your opponent's Pokemon. It's a great attack to use to KO multiple damaged Pokemon that your opponent has on their Bench. Reverse Thrust is a good attack that deals 30 damage and switches Kingdra-GX with one of your Benched Pokemon. This is a great way to set up a KO for the following turn. Finally, Hydro Pump will hit for a minimum of 60 damage, but could hit for a lot more if additional Energy are attached to Kingdra-GX. 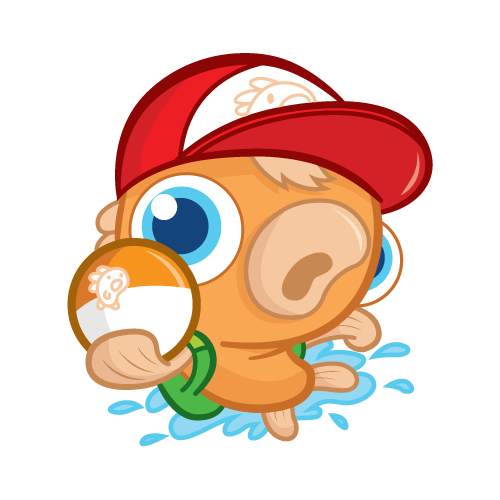 This little seahorse-like Pokemon has enough power to knock out any defending Pokemon, no matter their size. 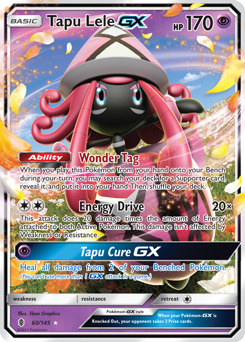 Tapu Lele-GX and Shaymin-EX both serve a similar purpose in this deck. When you play them onto your Bench during your turn, each has an ability that helps you find the missing pieces you need to ensure your deck runs smoothly. 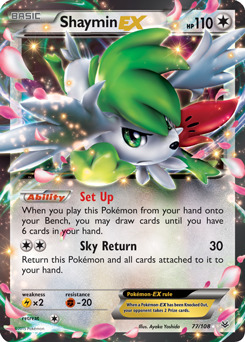 Shaymin-EX is especially good at its job since its Sky Return attack not only hits for 30 damage, but it also returns Shaymin-EX and all cards attached to it to your hand. That means you can play the Energy it had attached to it and attach it to another Pokemon and then play Shaymin-EX to your bench to draw additional cards. Articuno and Exeggcute round out your team of Pokemon. 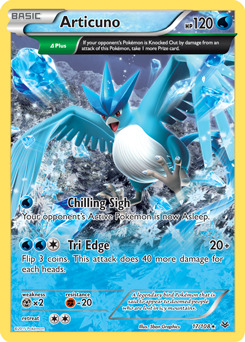 Articuno has the Plus Ancient Trait that allows you to take an additional Prize card when an attack from Articuno knocks out an opponent's Pokemon. Use this to your advantage in conjunction with Guzma to pick off a weak Pokemon or one that has already taken a lot of damage. 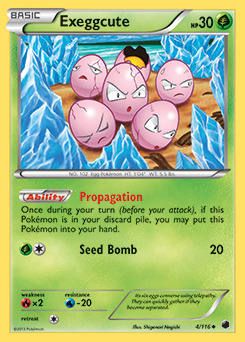 Exeggcute's Propagation Ability allows you to return it to your hand from the discard pile as a way to always have a card that you don't mind discarding, since you won't always have two cards you want to discard when you play Superior Energy Retrieval or Computer Search. Plus, in a pinch, you can play it to your Bench to ensure you don't lose the game if you're low on Pokemon. It's a desperation move though since you'll have no way to attack with Exeggcute since there is no Grass energy in the deck. This Blastoise deck looks like a super fun deck to play. Concentrate on setting up your Bench and don't worry about what your opponent is doing. You have all of the tools needed to defeat nearly any deck as long as luck is on your side. Do you have any suggestions for changes to this deck? Let me know by leaving a comment below or you can reply to me directly on Twitter (@mikelikesmtg), or email me directly at mikelikesmtg@gmail.com. And be sure to join me here again next week as I continue my search for innovative decks in the Pokemon TCG. I'll see you then!